So I’m slammed busy getting Issue 04 of our magazine ready to drop on Monday, en route to San Francisco for a photoshoot with Wired, and the Parkfiets pop in my stream. 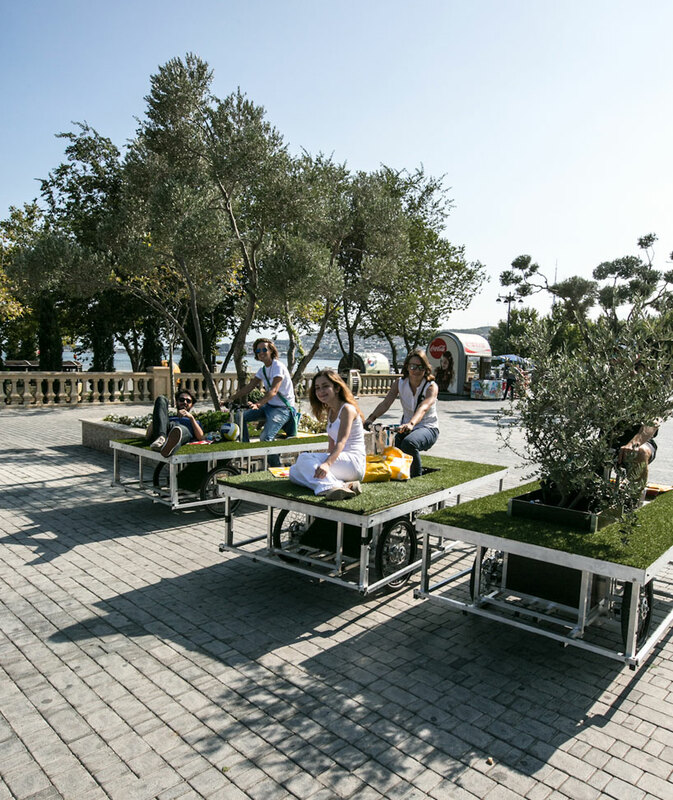 Sometimes, the blog writes itself… and yes, the Rebar Group made cargo bikes with lawns on them so urbanites can swarm together and make their own park. Attach some lawn chairs, umbrella drinks, and ride those at the 8th Annual Mobile Social Interbike with us, later this month. Swarm the Strip with a park. Now back to the magazine and the adventure theme we’re writing about, including a story about the 100 miles of Forest Service Roads I rode in Sun Valley.